Implementing traceability systems in food and agricultural businesses produces both private and public good benefits (Hobbs, Yeung, and Kerr 2009). Private good benefits, such as enhanced market access, efficiency gains in operations and supply chain coordination, and liability protection affect financial performance of firms directly (Bosona and Gebresenbet 2013; Donnelly and Thakur 2010; Golan, Krissoff, and Kuchler 2004; Kher et al. 2010; Liddell 2001; Mai et al. 2010; Jones et al. 2004; Sparling and Sterling 2004). Examples of public good benefits are positive externalities for public health as provided through more effective recalls and improved food safety levels (Folinas, Manikas, and Manos 2006; Gellynck et al. 2007; Lavoie and Forest 2009). However, both types of benefits are characterized by considerable uncertainty. Especially for public good benefits, realization depends on low-probability events such as foreign animal disease outbreaks, food safety incidents or product recalls and withdrawals. Further, realization of private benefits requires additional investments, as for example in operations analysis (Alfaro and Rábade 2009; Wang, Li, and Li 2009), quality assurance or marketing (Ortega et al. 2011; Verbeke and Roosen 2009). Regulations: Regulation such as the EU General Food Law (European Commission 2002) or the Canadian Health of Animals Regulations-Pig Identification (CFIA 2011) lay out industry-wide or sector-specific traceability requirements. The implications of regulatory traceabilityrequirements for a sector’s international competitiveness have been discussed in the literature. However, analysis has to be based on hypothetical scenarios of trade embargos or lost/gained export market value, because the complexity of determinants of international trade flows do not allow the isolation of a regulatory impact (Pendell et al. 2011; USDA 2009). This paper is thus not concerned with the impacts of regulatory amendments and will focus on the other types of intervention. Research and development: Governments have launched programs that aim to increase the uptake of traceability practices through improving the information base for investment decisions or through direct investment support. Examples are research and development programs, such as FOODTRACE (foodtrace. org) that are intended to support the development and testing of technological or institutional innovations to meet industry needs. Pilot projects: Pilot projects, such as the EU ADRI.FISH project (Asioli, Boecker, and Pirazzoli 2009) or the Ontario Traceability Pilot Project Initiative (OMAFRA 2015) are directed at implementing current and proven technology options to demonstrate feasibility and value of traceability systems for dissemination to industry. Investment support programs: Governments may aim at enticing a larger number of operations to invest in traceability practices by covering part of the costs. Examples are the support by the Italian Ministry of Agriculture for adopting traceability practices in food and agriculture through Legislative Decree of 10 April 2006 (Italian Parliament 2006) or support through the federally-provincially co-funded Food Safety and Traceability Initiative in Ontario, Canada (OMAFRA 2010). At a minimum, these programs aim to raise the level of traceability capacity among participating firms. Spillover effects across the sector, e.g. through enhanced information levels and the availability of tested technology options could have similar effects among non-participants. The effects of government policy and programs supporting specific activities on performance in the food sector have been documented in various areas (Fields 2004; Anjini Kochar 2005; Barrett 2002). To the authors’ best knowledge, no study has yet been published that assessed the impacts of government support for implementing enhanced traceability practices or systems. However, in addition to the targeted effects, there might be unintended effects of government support, in particular on the quality and accuracy of planning. On the one hand, one could argue that participation in a support program improves planning and implementation due to increased resources. On the other, one could also argue that narrow time frames, additional requirements and restrictions linked to receiving support impact the planning process negatively. Significant differences between expected and actual outcomes may thus point to a number of issues in support program communication, recruitment and implementation. For example, lacking awareness of a particular benefit and its discovery later on could lead to a “pleasant” surprise of unanticipated benefits. Conversely, individual benefits could be overstated in a systematic way, because a few successful but untypical cases of previous implementation have been highly publicized for advertising support programs. Consequently, this would lead to an unpleasant surprise when it is discovered after implementation that expectations have not been met. Investigating such effects can inform decision makers in policy and business by pointing to areas of improvement in the design and implementation of support programs, as well as in the participation decision. However, empirical evidence of an impact of support programs for management practices, in particular traceability on a firm’s planning process is anecdotal at best. This paper aims to contribute to closing the two gaps in the literature identified in the previous section. Although there is no indication in the literature in what direction participation in government support impact traceability capacity and planning accuracy, the working hypotheses guiding our research are phrased assuming firm performance in these two aspects would be improved. HA1: Recipients of government support for traceability implementation have, on average, a higher level of traceability capacity than the control group. HA2: Firms that have received government support are characterized by more accurate planning prior to implementation of enhanced traceability compared to those firms that have not received government support. HA2a: Recipients of government support have, on average, lower deviations of actual outcomes from expected outcomes for implementation costs and overall benefits of traceability implementation than the control group. HA2b: Recipients of government support have, on average, lower deviations of actual outcomes from expected outcomes than the control group for specific implementation costs and for specific benefit categories. HA2c: Among the group of government support recipients, significant deviations of actual from expected outcomes in the seven specific implementation cost and five specific benefit categories occur less often than among the control group. The hypothesis tests were performed on data from a small sample (n=55) of Italian fish processors. The data were collected in 2008 which presents an opportunity to look back at the early days of widespread adoption of food traceability in the EU. EC regulation 178-2002 (European Commission 2002) had come in effect in 2005 and required one step up/one step down traceability in all sectors of the food industry, but the regulatory situation was still confusing at that time (Regattieri, Gamberi, and Manzini 2007). Uncertainty around the costs and benefits of traceability then was significantly higher than is today and thus may have led to biased expectations about the outcomes of investing in traceability in general, but possibly more or less so among participants in government support programs. Data were collected through a questionnaire that was pretested in spring 2008 and administered by phone among Italian fish processors in summer 2008, primarily reaching owner-managers, general managers and quality managers. The sample frame had been produced by cross-checking the entire population of fish processors listed in the most recent Italian Census of Industry and Service of (ISTAT 2001) and a list provided in the Yearbook of Fishery and Fishing (2007/2008, n.18) . The overall population was composed of 415 firms, of which 303 were contacted and 60 responded, yielding an effective response rate of 20%. 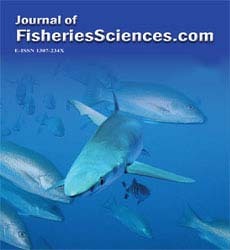 Although data for assessing the representativeness of the sample is not available, it is likely that it is biased towards larger than average firms, because the Italian fish processing industry mainly consists of very small, locally operating firms whose manager-owners tend to be reluctant to participate in surveys. Of the 60 completed questionnaires, 55 were usable while the remaining were dropped from analysis due to too many missing values. All participating firms had invested in enhancing their traceability practices in the three years before the survey. General company information: A total of 13 questions were asked about key characteristics of the firm, such as location, size, employee numbers, stages of supply chain at which firm is active, variety of inputs and outputs, customer and trade structure as well as quality and safety management systems currently employed or certified to. The data from this set of variables was used for the propensity matching score processes to obtain a control group that is comparable to the group of support recipients. Government support received: Respondents were asked whether they had received any support from a municipal, provincial, regional, national or supra-national government agency for traceability implementation. If so, they were asked to further specify the type of support and how useful the support was. Nine firms indicated to have received government support. Traceability capacity: Respondents were asked a series of questions about the defining features of their traceability systems, i.e. precision, breadth and depth (Golan, Krissoff, and Kuchler 2004). Precision, also called granularity (Karlsen et al. 2012), refers to the smallest traceable resource unit (TRU) (Moe 1998). We provided five answer options with scores ranging from one to five for each the input and the output side, which were also added together for an overall measure. Breadth refers to the different types of information that can be linked to a TRU. We provided a list of ten information categories, plus two ‘other’ options. A category checked increased the participant’s traceability breadth score by one so that scores could range from zero to 12. Traceability depth refers to the ability to track and trace TRUs along the supply chain and is also interpreted as a measure of chain integration in regards to information exchange. In our survey, respondents were asked whether they were able to do so beyond the regulatory requirement of one step up and one step down, separately for the input and the output side. Scores could thus range from zero (direct supplier and direct customer only) to two (beyond direct supplier and direct customer). Traceability implementation Costs: Respondents were first asked to rate the total one-time costs of implementation relative to their annual revenue on a scale from 1 (very low) to 9 (very high), for both expected before and actual costs after implementation. For both, total costs were further broken down into five specific cost categories - equipment and software; certification, consultants and audit; staff and workforce time; training; supplies and materials). Respondents were then asked to allocate 100 points across the five categories according to their importance, or: share in total costs. To familiarize respondents with this constant sum scale examples were given, such as, “If all categories are equally important, give 20 points to each.” Respondents were also asked to rate expected and actual operating costs of their traceability practices or system on the same scale from 1 to 9, but without further breakdown in categories. Since this breakdown is important for testing hypothesis 2, operating costs are not included in the analysis. Traceability benefits: Respondents were also asked to rate the benefits of their current traceability practices relative to their annual revenue on a scale from 1 (very low) to 9 (very high) for both expected before and actual benefits after implementation. For both, total benefits were further broken down into seven specific benefit categories - regulatory requirements; consumer trust; customer requirements and trust; market share/access and price premium; customer complaints, recall and liability; operations management; supply chain management. The same constant sum scale used for costs, was used to elicit the expected and actual importance of each of the seven benefit categories. • They need to simultaneously influence the program participation decision and the outcome variable(s). • They must not be affected by participation or the anticipation of it. Location: Being located in the northern region ‘Region Nord’ (1) vs. rest of the country (0). Firm size: 25 or less full time employees (1) vs. more than 25 full time employees (0). Annual revenue brackets could not be used for the matching process, because four respondents had not revealed their firm’s revenue bracket. Primary production: Processor with upstream integration (1) vs. those without direct involvement in primary production/ harvesting (0). Quality management system certification: Having been certified according to one ISO9000, International Food Standard (IFS) or British Retail Consortium (BRC) (1) vs. those that were not certified according to either of the three (0). Strategic marketing choice: We differentiated between three types of strategic marketing choices: own brand (1) vs. no own brand; licensed production for another brand (1) vs. no licensed production (0); producing for no name product (1) vs. no such production (0). Since sample size was very small, only the simple ‘nearest neighbor(s)’ or ‘caliper and radius’ matching algorithms were feasible. In addition, the propensity score distributions of support program participants and the rest of the sample were rather different. While the former had a large share of high scores (0.60 or higher), but few medium (0.10 to 0.60) and low scores (less than 0.10), the latter had hardly any high scores and a large shares of medium and low scores. A fixed caliper or radius algorithm would have thus lead to an over representation of low scoring firms and under representation of high and medium scoring firms. Therefore, we chose the ‘five nearest neighbors’ approach with replacing. Using replacement lead to an increasing average quality of matching and a decreased bias, which is of particular interest with data were the propensity score distribution is different in the treatment and in the control group (Caliendo and Kopeinig 2005). We then chose to deviate from the standard PSM procedure for pragmatic reasons reflecting the fact that the small sample size did not allow for more elaborate model testing. Instead of using the matching scores of one model to select the control group, we chose to use three models that differed in regards to the strategic marketing choice specification. We finally selected those firms for the control group that had been selected into the control group for each of the three models. This was done because there was no clear a priori reasoning available to determine which strategic marketing specification would be more conducive to participation. While the three models were similar in overall fit, the number of firms selected into the control group ranged from 17 to 22. The final selection contained nine firms that had been selected into the control group in each of the three models. Their distribution of matching scores was similar to the group of nine participants that had received government support for traceability implementation. Finally, the identification of the participation (or treatment) effect through testing the hypotheses in most cases requires the weighting of support recipients and control group members with their respective propensity scores. We used the arithmetic mean of the scores of the three models for this purpose. Reporting of descriptive results will also include the remaining 37 (=55-9- 9) firms of the sample to provide an additional anchor point for evaluation of the results. For each of the three scores of traceability capacity, compare the group means of recipients and control group. For overall implementation costs and overall benefits separately, calculate the average absolute deviation of actual from expected outcome for each firm and compare the group means of recipients and control group. Sum absolute difference of actual from expected outcome for the specific implementation cost categories for each firm and compare group means of recipients and control group. Do the same for specific benefit categories. Conduct repeat measure test of expected and actual outcome for each specific implementation cost category and each specific benefit category separately for the recipient group and the control group. The first descriptive results are directed at comparing firm characteristics between the group of government support recipients and the control group. These and the descriptive statistics for the remainder of the sample are shown in Table 1. Table 1: Descriptive statistics of firm characteristics of three subsamples.Original brackets in survey were in EURO which have been transformed with the 2008 average annual exchange rate of USD 1.0000/EURO 0.6831 (OANDA.com). ** Respondents were asked whether they had been certified according to any of ISO 22005 and the Italian standards UNI 10939, UNI 11020 or any other traceability standard. With the exception of the strategic marketing variable “Producing under license” the recipient group and the control group are quite similar. They both differ most strikingly from the remainder of the sample in two aspects, firm size and involvement in primary production, i.e. harvest of seafood. In regards to the former, participants in support programs and the firms in the control group tend to be smaller than the remainder of the sample. Of the eleven processors engaged in primary production in the sample, six were among the recipients of government support and the remaining five have been matched into the control group. Hence, none are found in the remaining sample of 37. Of the additionally shown variables in Table 1, the median revenue category confirms the size difference between groups but also highlights that the firms in the remainder of the sample are considerably larger than those in the recipient and control group. The share of firms that export to other EU member states also shows a major difference between recipients and control group on the one hand and the remainder of the sample on the other. Of the nine firms that had received public support six had received it from one source, two from two and one from three sources. The source of support most often stated was the municipal government (5), followed by the provincial government (4), the regional government (2), while the national and EU level were each mentioned once. Table 2 shows how the different types of government support in traceability system implementation were rated. Table 2: Rating of different types of government support for traceability implementation. Advice and financial support for purchasing equipment, hardware or software was rated most positively. While assistance in preparation of certification or final audit and technical assistance and training were still rated neutral to positive overall, the rating of legal assistance was rated very negatively. The average scores per firm ranged from a minimum of 2.3 (one firm) to a maximum of 5.0 (three firms) with 4.0 (two firms), 3.3 (two firms) and 3.0 (one firm) in between (Table 2). For testing the hypotheses, we first restate each working hypothesis assuming that participation in support programs has had a positive effect on traceability capacity and planning accuracy. Hypothesis 1: Recipients of government support for traceability implementation have, on average, a higher level of traceability capacity than the control group. With the exception of the breadth indicator the recipient group indeed does have higher average scores than the control group and also than the remainder of the sample which consists of larger firms than the group of support recipients (Table 3). However, the only statistically significant difference is found for the precision indicator for output - but at the 10% significance level only. Hence, the null for hypothesis one cannot be rejected. Table 3: Mean scores* of traceability capacity and cost-benefit indicators for 3 subsamples.Each firms score was weighted with its propensity score. Higher scores indicate higher levels of traceability capacity and higher levels of benefits and costs. a,bDifferent superscripts for given capacity indicator indicate significant difference between support recipients and control group at 10% significance level for independent samples t-test. Table 3, further shows average expected and actual implementation cost and benefit scores for the three subsamples. None of the differences between recipient and control group are significant at the 10% level. However, it is noteworthy that the observable difference in reported cost levels between the three subsamples may be linked to the difference in average firm size: the control group had the smallest median revenue size and the highest implementation and operating cost scores, while the remaining sample which has clearly the largest average firm size has the lowest mean cost scores. Hypothesis 2a: Recipients of government support have, on average, lower deviations of actual outcomes from expected outcomes for implementation costs and overall benefits of traceability implementation than the control group. Table 4: Indicators of deviation between expected and actual implementation and operating costs and benefits overall for three subsamples.Number of firms with deviation score of zero (expected outcome = actual outcome). ** Each firm’s deviation score was weighted with its propensity score. Deviation scores for individual firms could range from 0 (no deviation) to 8 (maximum deviation). In Table 4, again, no significant differences are found between recipient group and control group at 10% significance level. But the following pattern can be observed in regards to planning accuracy: The recipient group performs only slightly worse than the control group on implementation costs but much worse on benefits. This pattern is now investigated more closely when using the importance scores of specific implementation cost and benefits categories. Hypothesis 2b: Recipients of government support have, on average, lower deviations of actual outcomes from expected outcomes than the control group for specific implementation costs and for specific benefit categories. As was described in the methods section in more detail, respondents were asked to allocate 100 points across five specific cost categories and also 100 points across seven benefit categories according to their respective importance or share in implementation costs and overall benefits as expected prior to and as actually observed after traceability implementation. For an individual firm the absolute deviations are summed across the categories and, hence, means reported in Table 5 are the group means of these sums. For the recipient group, for example, absolute deviations of importance scores between expected and actual implementation costs, on average summed up to 7.48 points while the deviations for benefits summed up to 32.22 points. Since there were five cost categories and seven benefit categories, these scores cannot be compared directly but a higher score indicates larger deviations of actual from expected outcomes. Table 5: Indicators of deviation of importance scores between expected and actual implementation cost and benefit categories for three subsamples. Number of firms with zero deviation between expected and actual outcome for all categories. **Deviation scores were summed across categories for individual firms. The pattern observed for overall implementation costs and overall benefits in Table 4 is also observable among the numbers presented in Table 5. Planning by recipients of government support is considerably more accurate for implementation costs than for benefits. For the control group, there is little difference between the planning accuracies of costs and of benefits. Due to the small sample size, however, none of the differences in group means were found to be statistically significant at the 10% level or lower. Hypothesis 2c: Among government support recipients, significant deviations of actual from expected outcomes in the seven specific implementation cost and five specific benefit categories occur less often than for the control group. We finally look at the specific benefit and implementation cost categories to determine whether individual categories have been systematically over or under estimated at the planning stage. Following the argumentation by Boecker et al. (2014) that benefits are characterized by larger uncertainty than costs, we would generally expect more pronounced deviations of actual from expected outcomes for benefits than for implementation costs. Indeed, no statistically significant differences between expected and actual implementation costs were found for any of the five cost categories for either the recipients or the control group. However, for the seven benefit categories a number of significant differences were found and the frequency of significant differences varies greatly between the recipient and control group. We therefore focus solely on the seven benefit categories for which the results of paired samples t-tests are reported in Table 6. The corresponding results for implementation cost categories are reported in Appendix 2. Table 6: Paired samples t-test of expected and actual specific benefit importance scores. aProportion of firms with actual importance score of benefit higher than/equal to/lower than the expected one. Difference between actual and expected importance score is significant at 5% (paired samples t-test). Benefits in the areas of consumer trust and market share/price premium were reported to be significantly lower than had been expected before traceability implementation. Benefits in the areas of complaints/recalls/liability issues and operational efficiency were reported to be significantly larger than anticipated. Three of the four categories with significant differences also exhibit a striking pattern in the distribution of deviations. The reported deviation of seven of the nine firms was in the direction of the group average, while two reported zero deviations and none deviations in the other direction. Another difference between the two groups is found in the average share of firms that reported no deviations between expected and actual importance of a benefit. It is 27% for the recipient group and 41% for the control group, which could also point to less accurate planning among recipients of government support (Table 6). The paper provides an initial analysis into the effects of firms’ participation in government support programs for seafood traceability implementation on their planning accuracy, as captured by deviations of actual from expected costs and benefits. Before discussing implications of our results for policy makers and managers, we need to point out three limitations of our study. First, the sample size is very small so that only nine firms that had received support and the same number of firms in the control group are included in the analysis directly. However, when referring to the results for hypothesis 2c, the magnitude of deviations in the four benefit categories with significant deviations among the support recipients is much larger than any in the control group, ranging (in absolute terms) from 5.7 for ‘improved operational efficiency’ to 10.3 for ‘market access, sales growth or price premium.’ The only significant difference found in the control group is 3.4 for ‘meeting regulatory requirements’. Second, it appears that involvement in primary production, i.e. seafood harvesting was important for eligibility for support program participation. Third, the analysis does not focus on a specific support program but captures various support type combinations from different sources so that the common feature is that support was received between 2005 and 2008. Hence, the results of the hypothesis tests have to be interpreted with respect to that time frame when uncertainty about traceability benefits and costs was higher than today. However, extending the perspective to include the remainder of the sample, the question is raised whether the observed significant differences among support recipients in hypothesis 2c are entirely unique or possibly reflect generally existing biases in expectations about benefits of traceability during the time period of investigation. As can be seen from Table 6, for the four benefit categories with significant deviations for the group of government recipients, the control group and remaining sample show deviations in the same direction but only one is statistically significant at the 5% level: ‘increasing consumer trust’ for the remaining sample. For the first hypothesis, although the group of support recipients reported higher average levels of traceability capacity and higher levels of benefits than the control group, these differences were not significant. But even if sample size had been sufficiently large and the same direction of differences been found statistically significant, those findings could not be used to justify support programs, as no cost information at the program level was included in the analysis. More importantly from the perspective of managerial and policy implications, we found evidence of possible unintended side effects of government support when analyzing deviations between expected and actual outcomes for specific benefit categories. Recipients of government support had reported greater deviations of actual from expected specific benefits than the control group. More specifically, they over estimated benefits from increased consumer trust and market gains and under estimated benefits from reduced consumer complaints, recall and liability risk, as well as increased operational efficiency. When investigating the four benefit categories more closely for the control group and the remaining sample, we found the same direction of the deviation. Further, we did not find similar patterns of consistent deviations of actual from expected implementation costs among the three subsamples. Hence, we conclude: there may have been a general misperception of the importance of these four specific areas of traceability benefits during the time period of 2005 to 2008, and this misperception may have been amplified through the communication related to the recruitment efforts of the support programs captured in our sample. While we don’t have access to data to subject either of the above statements to an empirical test, it has to be pointed out that the second effect may only have materialized, if firms participating in support programs did not have a clear strategic vision of the benefits they wanted to achieve through traceability implementation. This would have also kept them from investigating more closely the reliability of any communicated benefit claims. • A clear strategic perspective should drive the decision to participate in a government support program, including the eventual choice of the capacity level of the traceability system to be implemented. • This could lead to a better understanding of how realistic strong benefit claims are and whether any benefits could be over or under rated. Less pronounced deviations of actual from expected benefits would follow and lead to significantly higher overall benefits from traceability, or greater cost-effectiveness in their achievement. • Among the critical success factors discussed in the literature, the recommendation that traceability systems be designed based on the needs of the users (Karlsen et al. 2012) is most relevant in the context of our study. For some users low levels of precision, depth and breadth are required to accomplish their goals, while other users’ goals require greater capacity. According to Fonsah (2006), operators should perform a SWOT analysis and consider their core values to help determine what is most appropriate for their situation. Our results also support the suggestion by Stanford et al. (2001) that government support in food safety practices can be of crucial importance for establishing well-functioning traceability systems, also benefiting governments, consumers and industry. Tompkin (2001) also recommended that government support programs provide greater clarity in the interpretation of new regulatory requirements for firms to significantly benefit in the decision making process of implementing traceability which in turn would lead to more accurate planning. Interestingly, the corresponding support type, i.e. legal assistance, had received by far the lowest satisfaction ratings in our sample. Financial support from the “Marco Polo” Program N°234 of the University of Bologna (Italy) and from Ontario Commercial Fishery Association (OCFA) (Canada) is acknowledged. Further support for the study was provided by the European Commission through a Marie Curie Actions Intra European Fellowship (IEF). Alfaro, J.A., Rbade, L.A.(2009) “Traceability as a Strategic Tool to Improve Inventory Management: A Case Study in the Food Industry.” International Journal of Production Economics 118,104-110. Kochar, A. (2005) “Can Targeted Food Programs Improve Nutrition? An Empirical Analysis of India’s Public Distribution System.” Economic Development and Cultural Change 54 (1). The University of Chicago Presspp: 203-35. Davide, A., Marzucchi, A., Montresor, A. (2012) Research Cooperation Withinand across Regional boundaries.Does Innovation Policy Add Anything?Working paper on corporate R and D and innovation - No. 04/2012, European Commission, Joint Research Center, Seville, Spain. Asioli, Daniele.,Boecker, A.,Pirazzoli, C. (2009) “An Assessment of the Business Value of Traceability Practices in the Italian Fishery Processing Industry.” PhD dissertation, University of Bologna, Bologna. Barrett, C.B. (2002) Agricultural and Food Policy.Handbook of Agricultural Economics.Handbook of Agricultural Economics.Elsevier, 2. Bosona, T., Gebresenbet, G.(2013) “Food Traceability as an Integral Part of Logistics Management in Food and Agricultural Supply Chain.” Food Control 33, 32-48. Caliendo, M., Kopeinig., S. (2005) Some Practical Guidance for the Implementation of Propensity Score Matching. IZA Discussion Paper.1588. Bonn, Germany. CFIA. (2011) Proposed Regulations Amending the Health of Animals Regulations - Pig Identification CFIA ID 20125 - A Cost-benefit Analysis. Canadian Food Inspection Agency. Donnelly, K.A.M., Thakur, M.(2010) “Food Traceability Perspectives from the United States of America and the European Union.”KonomiskFiskeriforskning, 1-8. European Commission. (2002) “Regulation (EC) No 178/2002 of the European Parliament and of the Council of 28 January 2002 Laying down the General Principles and Requirements of Food Law, Establishing the European Food Safety Authority and Laying down Procedures in Matters of Food Saf” Brussels. Fields, S. (2004) “The Fat of the Land: Do Agricultural Subsidies Foster Poor Health?” Environmental Health Perspectives 112.National Institute of Environmental Health Sciences, A820-23. Folinas, D., Manikas, I.,Manos, B. (2006) “Traceability Data Management for Food Chains”. British Food Journal 108, 622-33. Gellynck, X., Januszewska, R., Verbeke,W.,Viaene, J. (2007) “Firm’s Costs of Traceability Confronted with Consumer Requirements”.In Quality Management in Food Chains, edited by L. Theuvsen, A. Spiller, M. Peupert, and G. Jahn, 45-56. Golan, E., Krissoff, B.,Kuchler, F. (2004) “Food Traceability: One Ingredient in a Safe and Efficient Food Supply.” Outlook on Agriculture, 1-11. Hobbs, J.E., Yeung,M.T., Kerr, W.A. (2009) “Public and Private Goods: The Canadian National Livestock and Poultry Traceability Program.” Agriculture and Agri-Food Canada. ISTAT. (2001) “8° CensimentoGeneraleDell’industria E Dei Servizi”. Italian Parliament. (2006) Disciplina per La Concessione Dei Contributi per La Realizzazione Di Progetti, FinalizzatiAll’adozione E Diffusione Di Sistemi per La Tracciabilità Dei ProdottiAgricoli Ed Agroalimentari. Eluned, J., Poghosyan, A., Gonzalez-Diaz, F., Bolotova, Y. (2004) “Traceability and Assurance Protocols in the Global Food System.” International Food and Agribusiness Management Review 7,118-126. Karlsen, K.M., Dreyer, B., Olsen, P., Elvevoll, O.E. (2012) “Granularity and Its Role in Implementation of Seafood Traceability.”Journal of Food Engineering 112,78-85. Kher, S.V., Frewer, L.J., Jonge J.D.,Wentholt, M., Davies, O.H. et al. (2010) “Experts’ Perspectives on the Implementation of Traceability in Europe.” British Food Journal 112, 261-274. Lavoie, G.,Forest, J.F.,(2009) “Implementation of a Traceability System From Constraints to Opportunities for the Industry: A Case Study of Quebec, Canada.” International Food and Agribusiness Management Review 12, 71-80. Liddell, S. (2001) “Market Opportunities and Threats to the U.S. Pork Industry Posed by Traceability Systems”. The International Food and Agribusiness Management Review 4, 287-302. Mai, N., Bogason, S.G.,Arason, S.,Árnason, S.V., Matthíasson, T.G. (2010) “Benefits of Traceability in Fish Supply Chains – Case Studies.” British Food Journal 112, 976-1002. Moe, T. (1998) “Perspectives on Traceability in Food Manufacture.” Trends in Food Science & Technology 9, 211-214. OMAFRA. (2015) "Traceability for Ontario food businesses: Competitive, Productive, Sustainable Profiles." Ontario Ministry of Agriclture, Food and Rural Affairs. OMAFRA. (2010) "Growing Forward, Fall 2010." Ontario Ministry of Agriclture, Food and Rural Affairs. Ortega, D.L., Wang, H.H., Widmar, N.O.,Wu, L. (2011) “Modeling Heterogeneity in Consumer Preferences for Select Food Safety Attributes in China.” Food Policy 36, 318-324. Pendell, D.L., Grester,G.W., Schroeder,T.C.,Dhuyvetter,K.C., Tonsor, G.T. (2010) "Animal Identification and Tracing in the United States." American Journal of Agricultural Economics 92,927-940. Regattieri, A., Gamberi,M., Manzini, R. (2007) “Traceability of Food Products: General Framework and Experimental Evidence.” Journal of Food Engineering 81, 347-356. Rosenbaum, P.R., Rubin, B.D. (1983) “The Central Role of the Propensity Score in Observational Studies for Causal Effects.” Biometrika70, 41-55. Sparling, D., Henson S., Dessureault,S.,Deepananda, H. (2006) “Costs and Benefits of Traceability in the Canadian Dairy Processing Sector.” Journal of Food Distribution Research 37, 160-166. Sparling, D., Sterling, B. (2004) “Food Traceability: Understanding Business Value.” Toronto: RCM Technologies. Stanford, K., Stitt,J.,Kellar,J.A,McAllister,T.A. (2001) “Traceability in Cattle and Small Ruminants in Canada.” Revue Scientifiqueet Technique (International Office of Epizootics) 20, 510-522. Tompkin, R.B. (2001) “Interactions between Government and Industry Food Safety Activities”. Food Control 12, 203-207. Train, K. (2009) Discrete Choice Methods with Simulation.Edited by Cambridge University Press. New York. Discrete Choice Methods with Simulation.Cambridge University Press47. USDA. 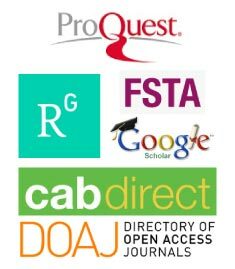 (2009) "Benefit-Cost Analysis of the National Animal Identification System. "US Department of Agriculture. Verbeke, W.,Roosen, J. (2009) “Market Differentiation Potential of Country-of-Origin, Quality and Traceability Labeling.” The EsteyCenter Journal of International Law and Trade Policy 1, 20-35. Wang, X., Li, D., Li, L.(2009) “Adding Value of Food Traceability to the Business: A Supply Chain Management Approach.” International Journal of Services Operations and Informatics 4, 232-257.